Back spasms are one of the most commonly reported forms of back pain and may occur for a number of reasons. Spasms occur when inflammation compresses the nerves, creating an involuntary contraction in the back which does not relax again. Anyone who’s experienced it wants to get rid of the back spasm quickly. Diseases such as anemia, multiple sclerosis, or diabetes also lead to back spasms, although the frequency becomes less common when the disease is being properly managed. Poor posture when sitting or standing, as well as sitting for long periods of time, can also contribute to spasms. Those with desk jobs (especially those without a good ergonomic chair) are at fairly high risk of getting back spasms at some point. Some individuals may suffer from chronic spasms. They can become more frequent with age or during pregnancy, and most often happen in the lower back. Unlike some back issues, back spasm relief may often occur at home using inexpensive, if time consuming, options. 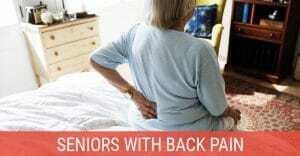 Treatment for back spasms may range from simple home remedies to costly medical intervention. The frequency and severity of your spasms will affect which remedies work best for you. As a general rule, the most effective treatment varies from one person to the next. The following are a few of the fastest ways to reduce spasm pain. Perhaps the simplest treatment method is to simply get plenty of bed rest with good back support. The downsides to this method are the time away from work and the risk of further health problems if you remain in bed for more than a few days. While most will get relief laying on their mattress, some may actually prefer laying on the floor for a period of time if the mattress is too soft. Sleeping in a recliner to reduce the pain is another option. Do what feels best. Make sure your body is not overheated. Applying heat when you’re already sweating may cause your body to react adversely to the heat and strengthen the pain signals. Do not apply the heat directly, but instead use a towel as a buffer to prevent harming your skin. Never set the heating pad or water temperature too high. Going beyond 114 degrees Fahrenheit increases the risk of burns. In the case of inflammation causing the spasm, heat may not be the best option. Cold (cryotherapy) is necessary to reduce swelling, and heat will worsen any inflammation. In cases like this, hydrotherapy may be a safer option. Sometimes the intensity of a back spasm may be reduced using water. Set your shower to a hotter setting and focus the stream of water on the affected muscles for two to three minutes, then switch to cold for 30 seconds. Continue alternating between hot and cold until the pain has been somewhat reduced. Alternatively you may take a warm bath and follow it with a cool shower. This has proven to be pretty effective for many who have tried it. When possible, you can quickly reduce the spasm’s affect by treating it immediately. Laying on the floor or another hard surface, find a comfortable position and lace some pillows under your knees. You may also wish to apply an ice pack to the affected area for 15 to 20 minutes, using a towel as a barrier to prevent damaging your skin. If this doesn’t work, switch to a warm, damp cloth. If using a heating pack, be sure to also use a towel barrier to avoid potential burns. 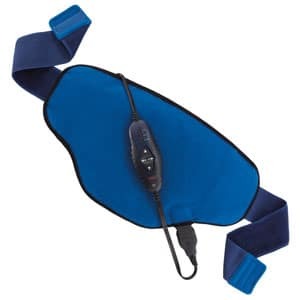 TENS (Transcutaneous Electrical Nerve Stimulation) units are small devices that send a mild electrical current through electrodes into the skin. The purpose is the stimulate nerve pathways and reduce the perception of being in pain. With technology improving, new compact wireless TENS devices can even be used under your clothing while out in public although most prefer to do treatment at home. When spasms become frequent, fail to subside, or are the result of a back injury, your doctor may prescribe pain medication or a muscle relaxant (such as Flexeril or Soma), or in rare cases even suggest surgery. These solutions are not usually needed for minor or infrequent spasms due to the potential side effects. Trigger points are a type of muscle stiffness where the muscle forms small contraction knots. These knots are often caused by over-exertion or extreme tension. One of the major problems with trigger points is that they can transmit pain to other parts of the body along the nerves. Known as referred pain, this phenomenon makes it difficult to locate and treat the source of the problem. 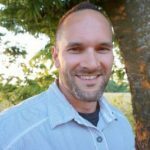 Massage therapists who are specially trained and certified in trigger point therapy can locate muscle knots and restore them to a relaxed state. For more information, check out our Trigger Point Therapy series. While knowing what to do for back spasms can be useful, preventative options will allow you to avoid missed work and unnecessary pain. Prevention methods generally involve minor lifestyle changes or treating other physical issues. Maintaining a healthy weight can greatly reduce the stress on your spine and lower back muscles. Proper posture when sitting or standing also translate to less strain. Your muscles also need several nutrients for proper functioning which are readily available in a healthy diet. 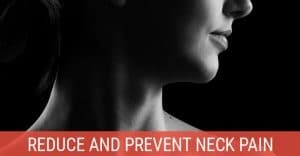 Finally, smoking can affect the amount of nutrients reaching your spine, and smoker’s cough has been known to cause sudden jarring to the back and spine. For that reason, it is best to avoid tobacco. One of the best methods of risk reduction is to get plenty of exercise. Particular exercises which strengthen your core muscles, such a planks and sit-ups, make strain less likely. Stretching daily and especially before and after any workout or major physical activity further reduce the risk of injury and back spasms. If you sit in front of a computer all day, doing some hamstring stretches 2-3 times during the work day is one of the best things you can do for your back. If you have a long commute, take a few seconds to stretch your lower back and legs immediately after getting out of your car. 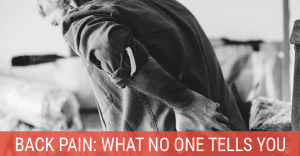 While this guide details the essential aspects of back spasms, you may still have questions regarding specific options, such as prescriptions or alternative treatments. These may be found in this guide provided by the National Institute of Arthritis and Musculoskeletal and Skin Diseases (NIAMS). The Mayo Clinic also offers a guide on back pain which includes information on the treatment and prevention of back spasms.